With its headwaters just North of Jackson Hole in Yellowstone National Park, the mighty Snake River makes its way South through Jackson Hole, carving its course in front of the soaring cathedrals of the Teton Range. 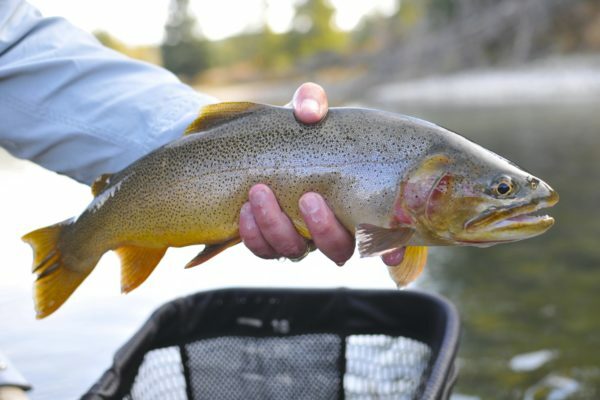 The river is home to the native Snake River Finespotted Cutthroat Trout. 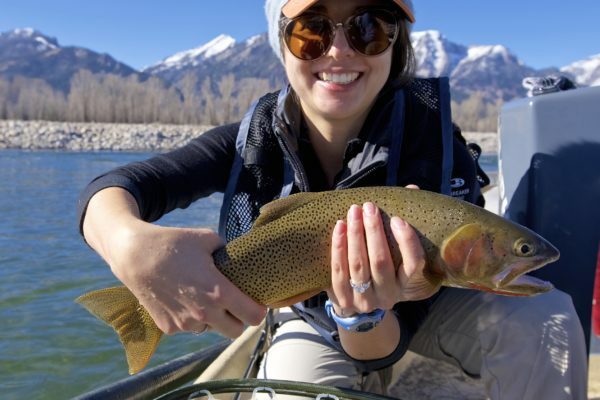 There’s no better river suited for both the beginner or expert fly fisherman anywhere. Below Jackson Lake Dam in Grand Teton National Park, we have licensed access to over 70 miles of the Snake River and its native Finespotted Cutthroat Trout. 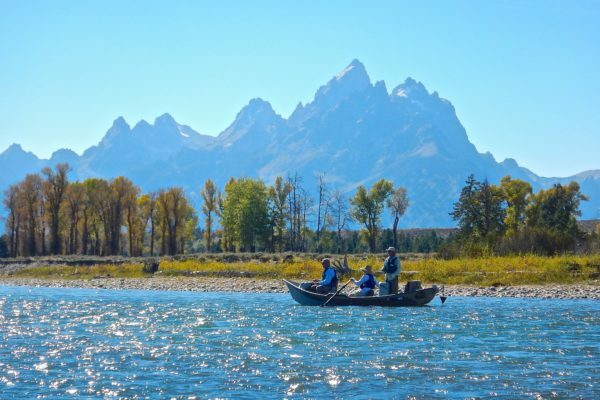 Spend the day in front of the Tetons while casting dry flies from a precision placed drift boat. The Snake is our most requested float trip, not only because of it’s excellent dry fly fishing, but also for its spectacular scenery and wildlife viewing potential. Early season fishing on the river from late March through April can be fantastic. Once runoff subsides in late June or early July, the Snake really turns on and produces some of the best dry fly fishing around until the first snow flies in October. August and September are the most requested times to float the Snake, due to it’s consistent fishing, so BOOK EARLY! 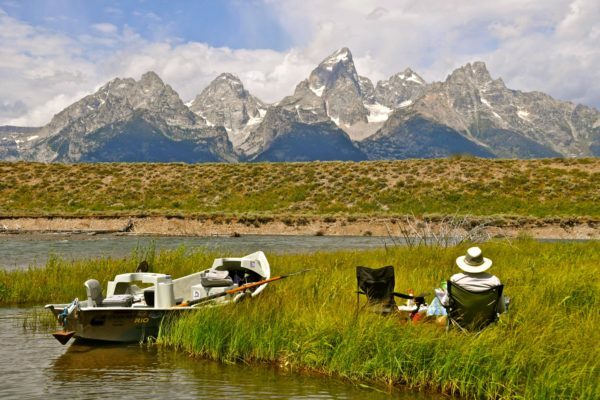 Grand Teton Fly Fishing is an authorized concessionaire in Grand Teton National Park and permittee in Bridger-Teton National Forest. For those of you who don’t have a full day to spend join us for a short day guided trip on the Snake River. We do these trips either in the morning until about 2 p.m. or starting about noon until about 6 p.m., but can shorten them more if needed. We will try to vary the schedule to your needs. Just like our regular trips, we provide rods, waders (if needed), and transportation to and from the river. We don’t provide a lunch, but will bring some snacks and drinks. The Snake is a perfect river to do a short day trip. The Snake River Cutthroat readily takes flies on the surface, giving even beginners the thrill of a lifetime. 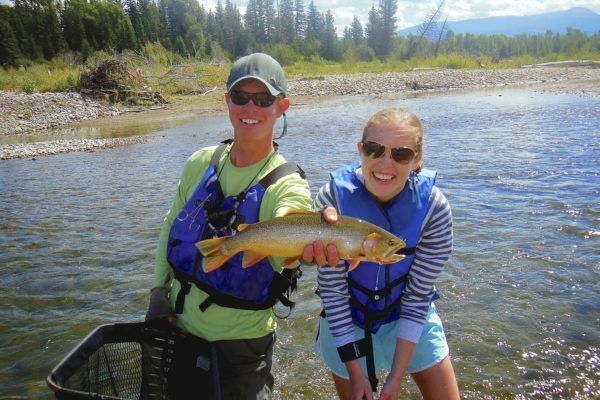 Trips are available on a couple of stretches in Grand Teton National Park and also south of town in the Bridger-Teton National Forest stretches of the Snake. Because of distances, these trips are not available on other rivers in the area.